Subway Restaurant Kuwait, last updated on 22 April 2018 , is listed under Sandwiches category. It was added to Kuwait Directory Rinnoo.net on 2 April 2013 . 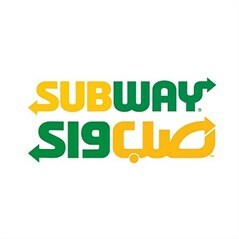 Pages of Subway Restaurant Kuwait on Rinnoo.net have achieved 776,578 views till now. Subway is an American restaurant that primarily sells submarine sandwiches (subs) and salads. Their products are known for being healthy and having less grams of fat. The interesting part about subway is that you make your own sandwich starting from the bread, the vegetables, the poultry and the sauces as well. The story of Subway began in Bridgeport, Connecticut, USA during the summer of 1965. Fred DeLuca, an ambitious 17-year-old high school graduate, was looking for a way to make enough money to pay for his university tuition. The solution came at a backyard barbecue during a conversation with a family friend, Dr. Peter Buck. Dr. Buck suggested to Fred that he open a submarine sandwich shop - having seen a sandwich shop in his hometown experience huge success. With a $1,000 loan from Dr. Buck, the partnership was formed and Pete’s Super Submarines opened in August 1965. The first year was a challenge and a learning experience for the young entrepreneurs. They opened their second location a year later and quickly realised that marketing and visibility were going to be key factors in the success of the business - the third outlet was in a highly visible location and it’s still serving sandwiches today. The name was shortened from Pete’s Super Submarines to SUBWAY® and the familiar bright yellow logo was introduced. The next step was to formulate a business plan that outlined the SUBWAY® chain’s goals. In an effort to reach those goals, SUBWAY® outlets began franchising, giving others the opportunity to succeed in their own business venture. The first SUBWAY® franchise opened in Connecticut in 1974. In August 1995, the SUBWAY® chain celebrated 30 years of success and witnessed the opening of its 11,000th outlet. * Most viewed out of 78 branches. Sorted based on branches' views in the last 30 days, from Wednesday, 20 March 2019 till today.